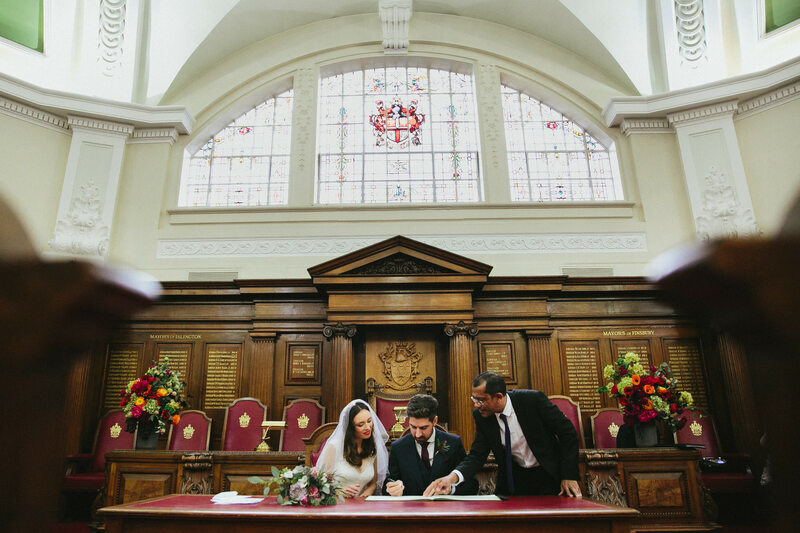 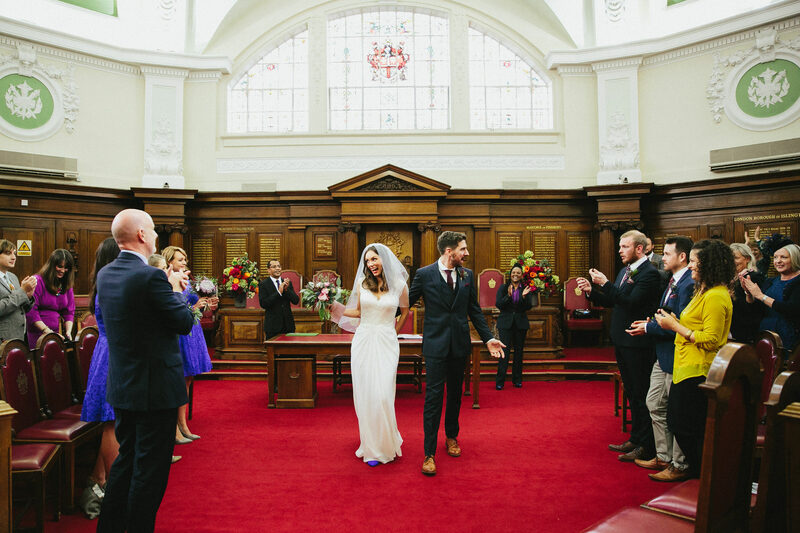 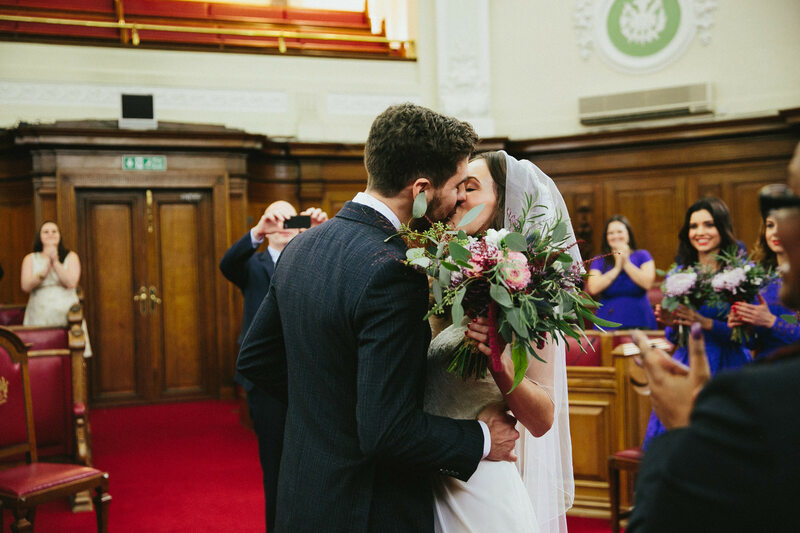 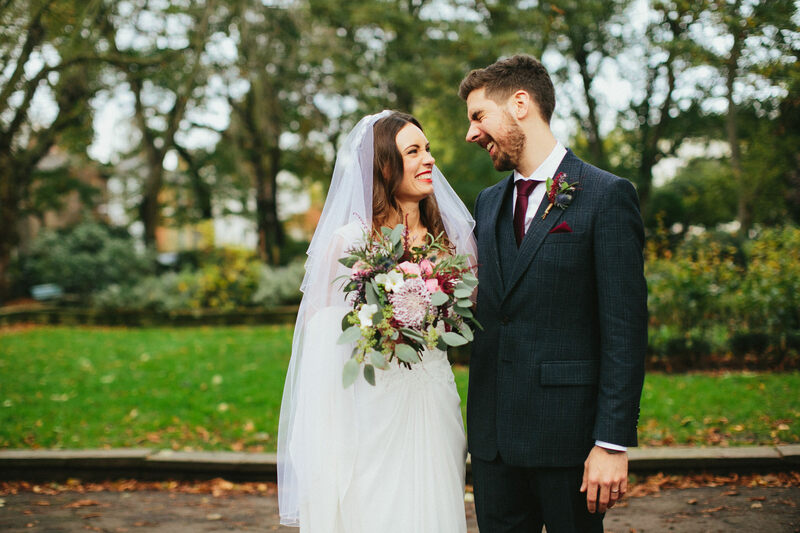 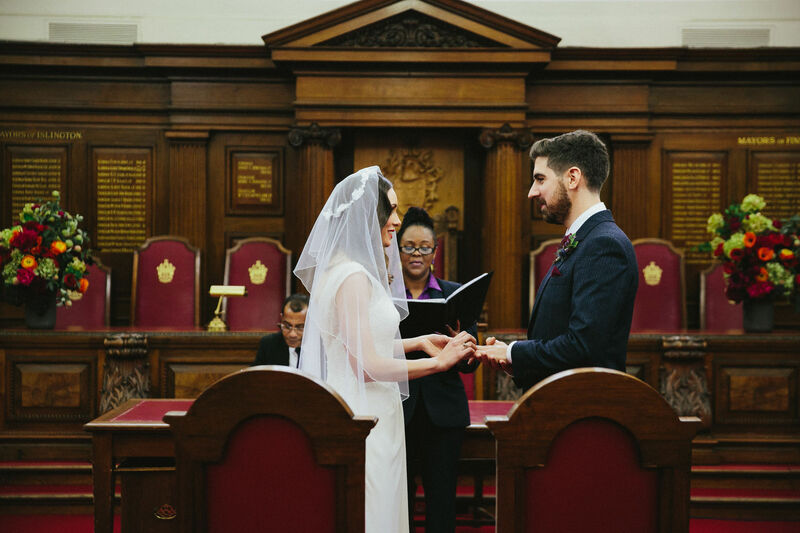 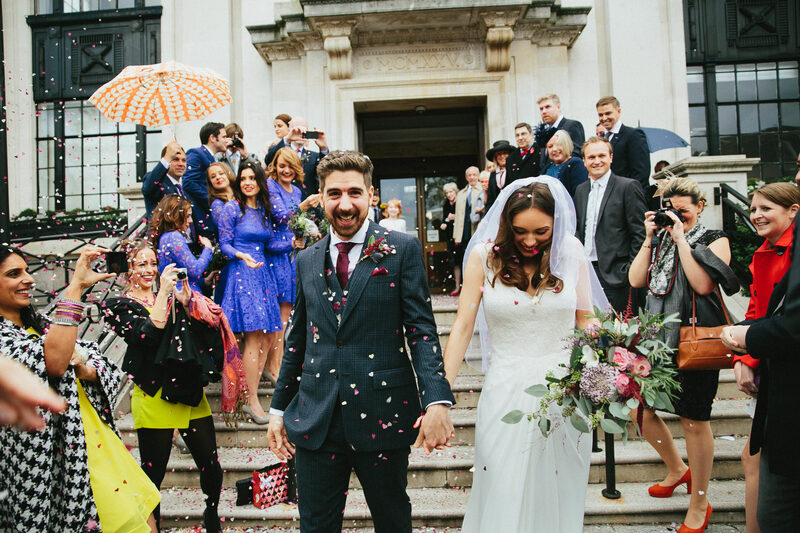 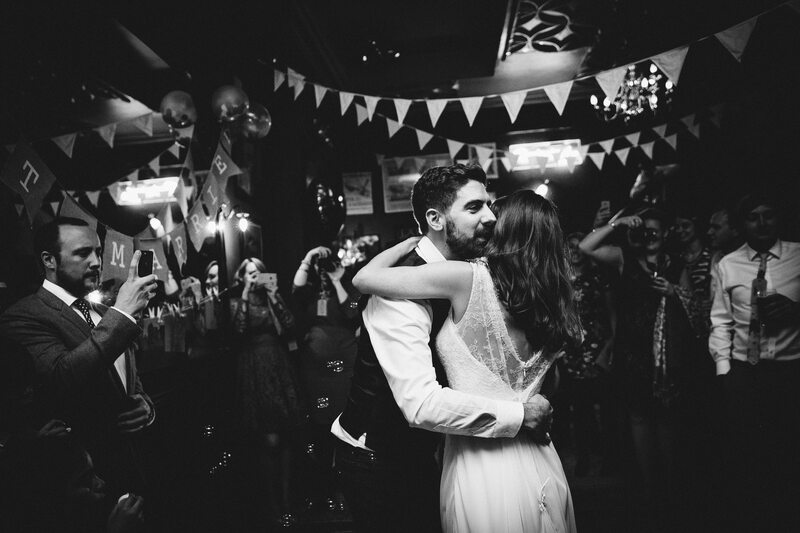 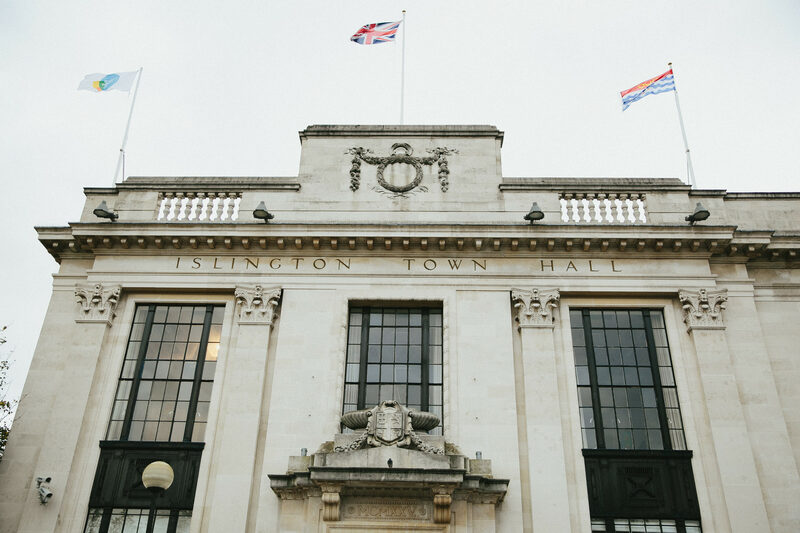 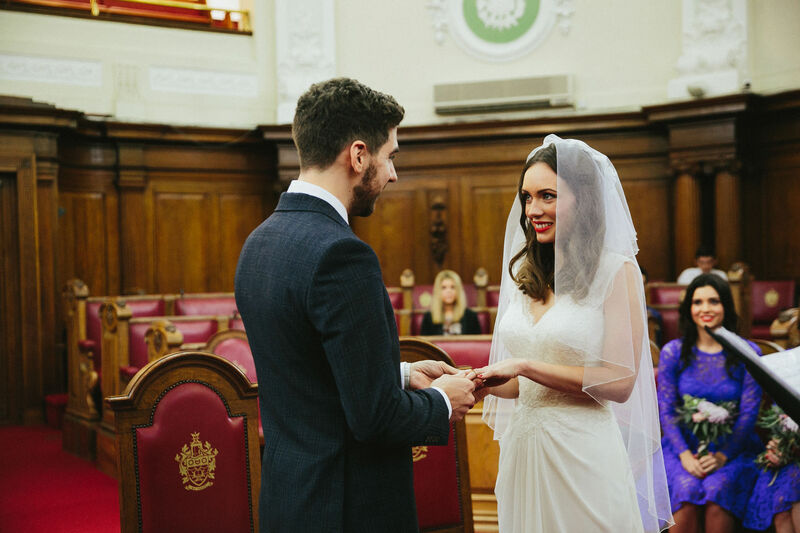 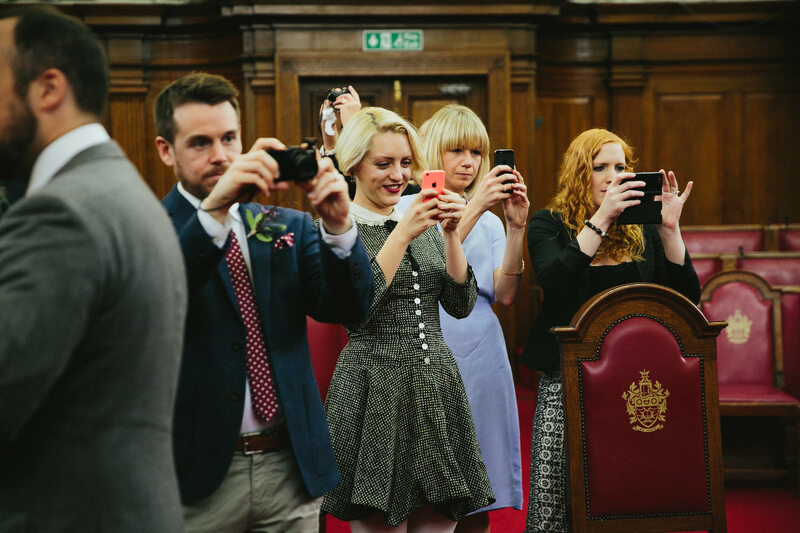 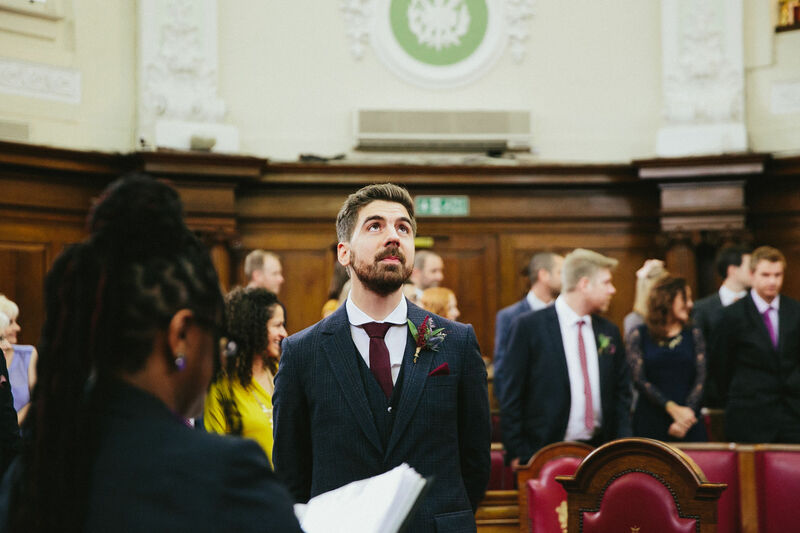 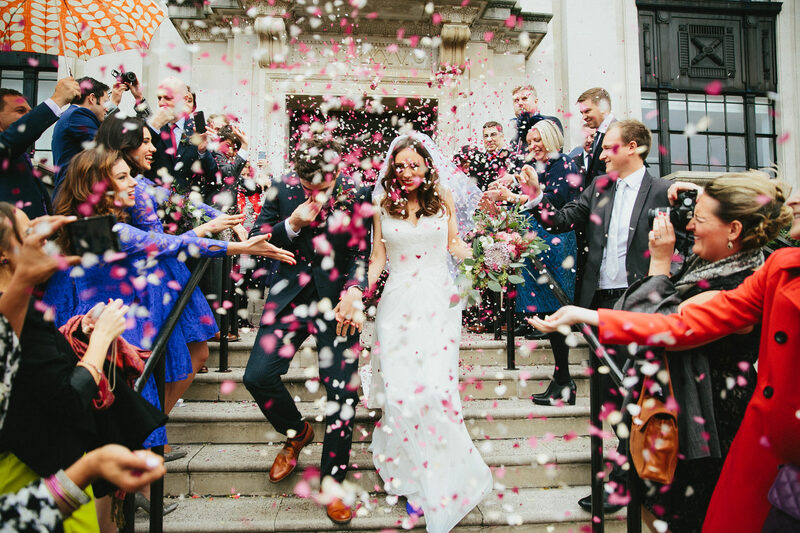 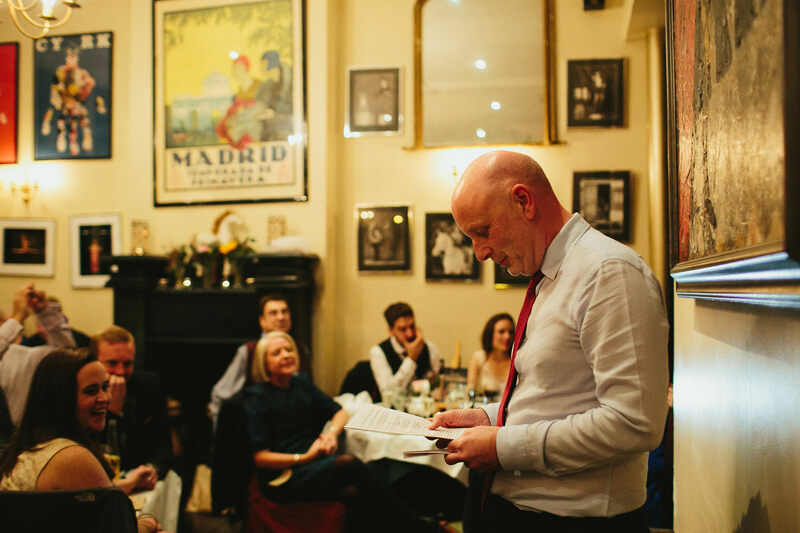 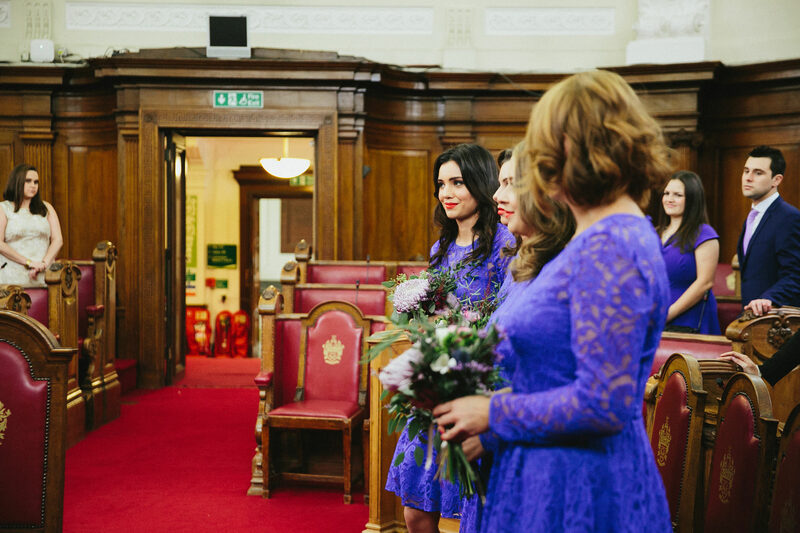 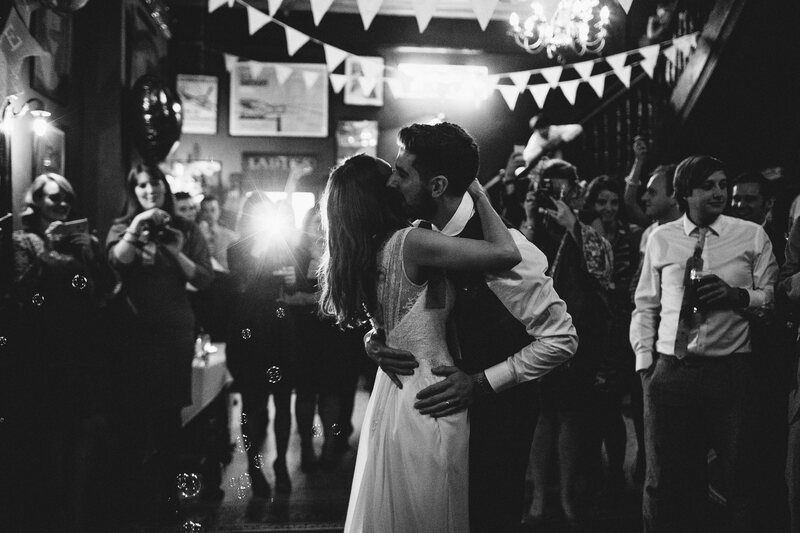 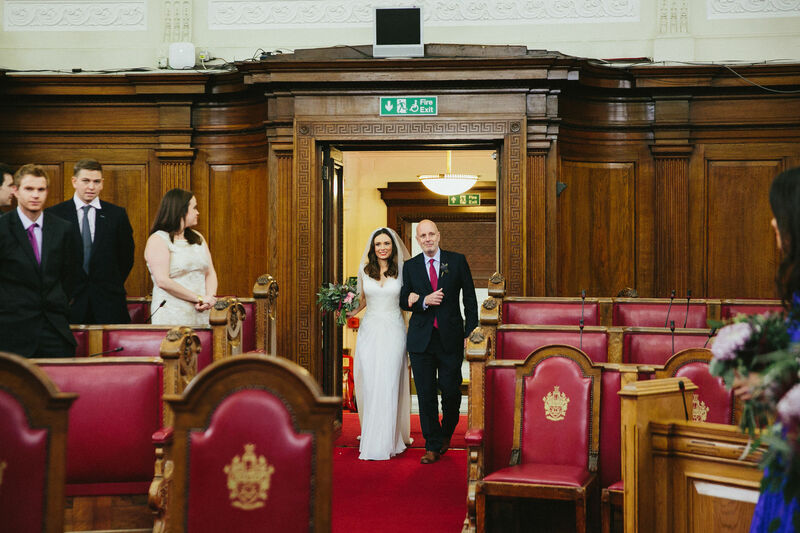 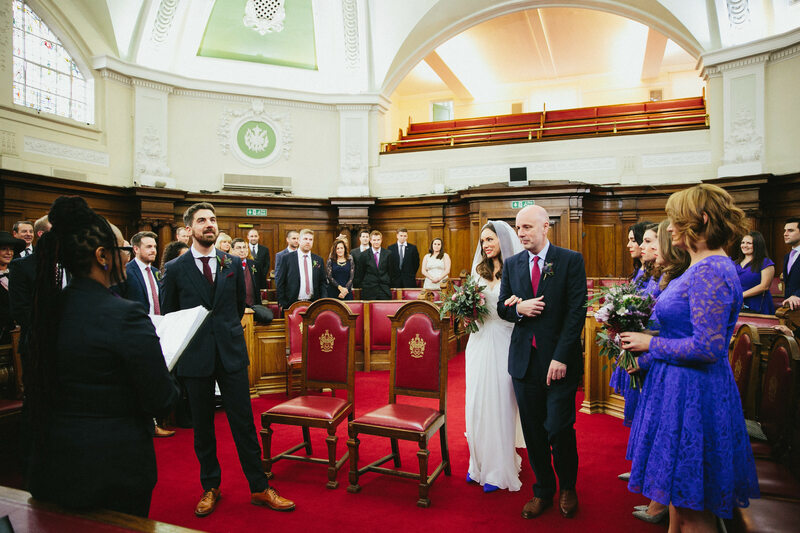 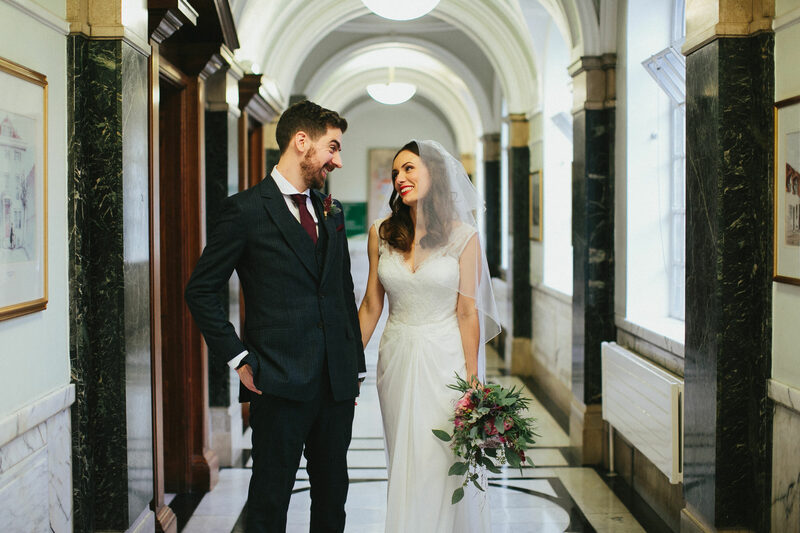 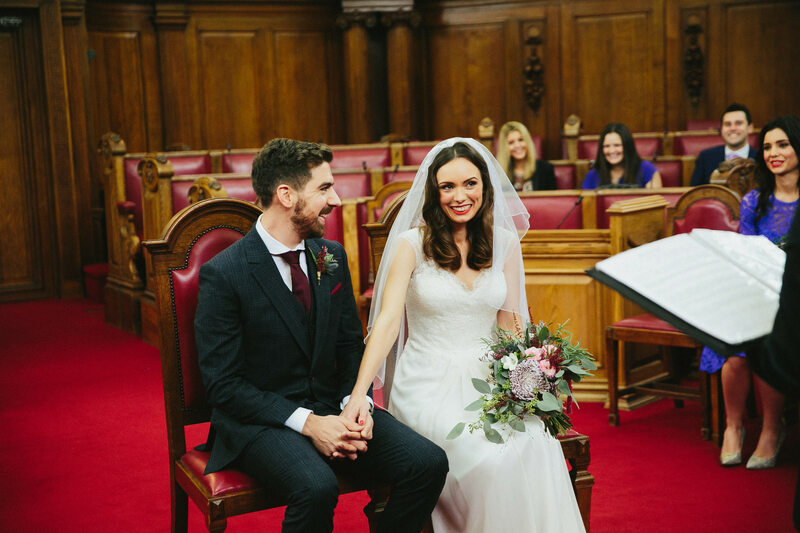 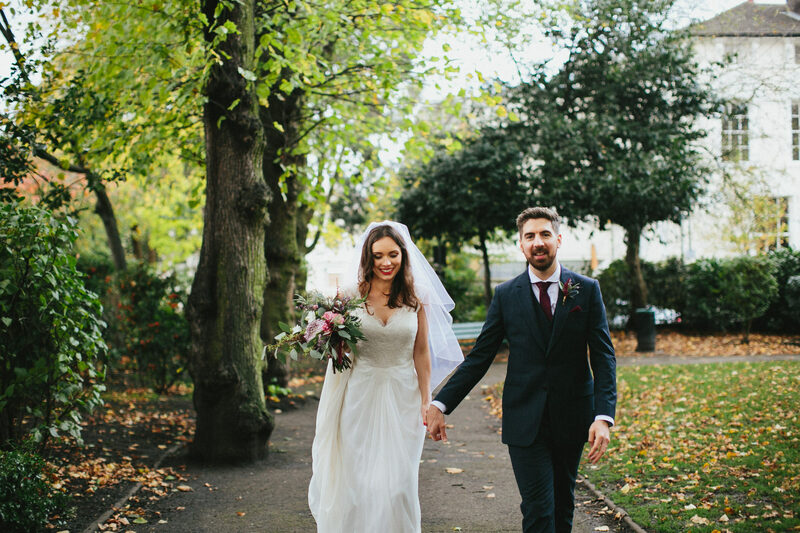 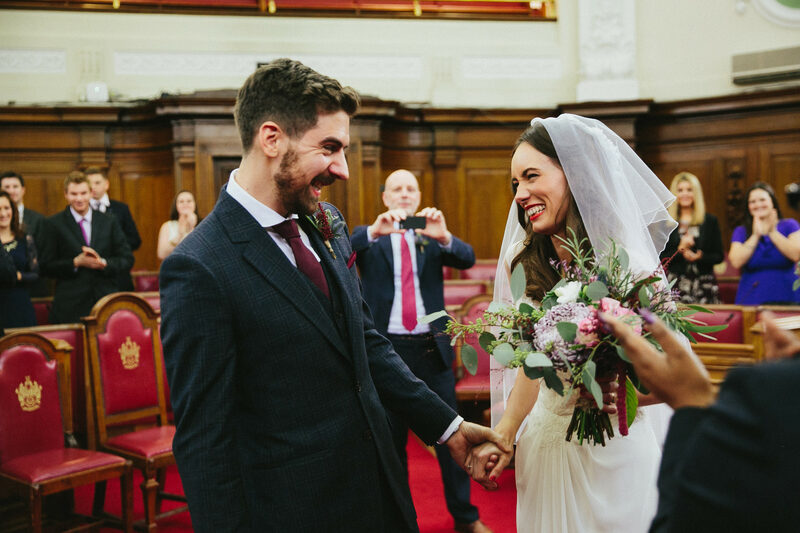 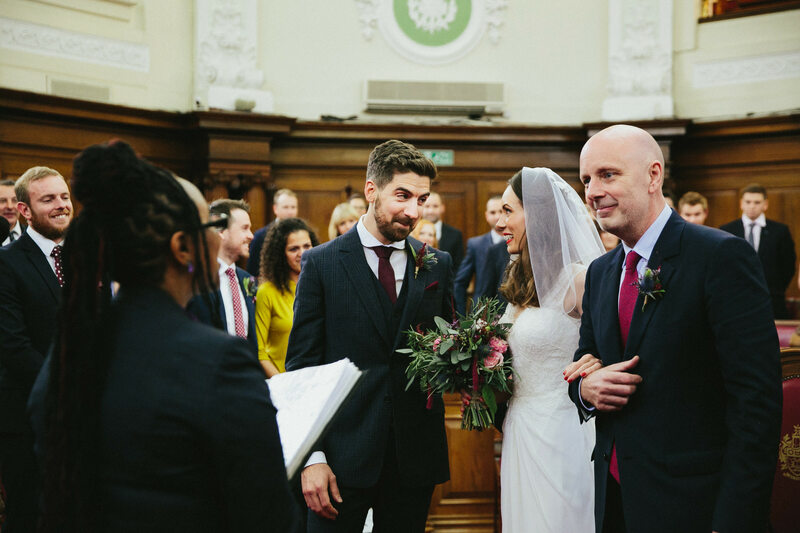 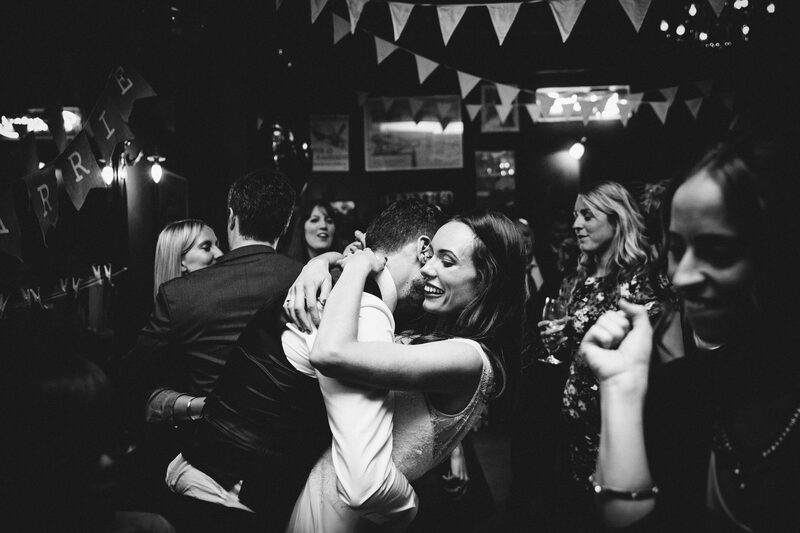 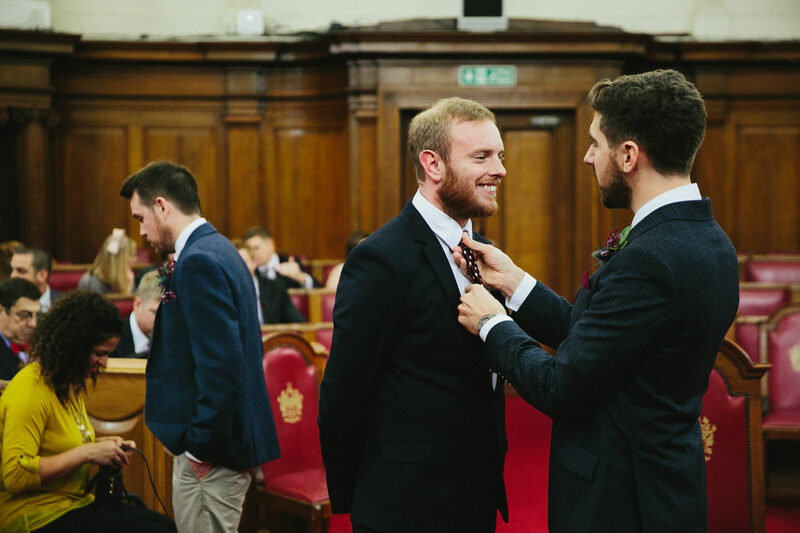 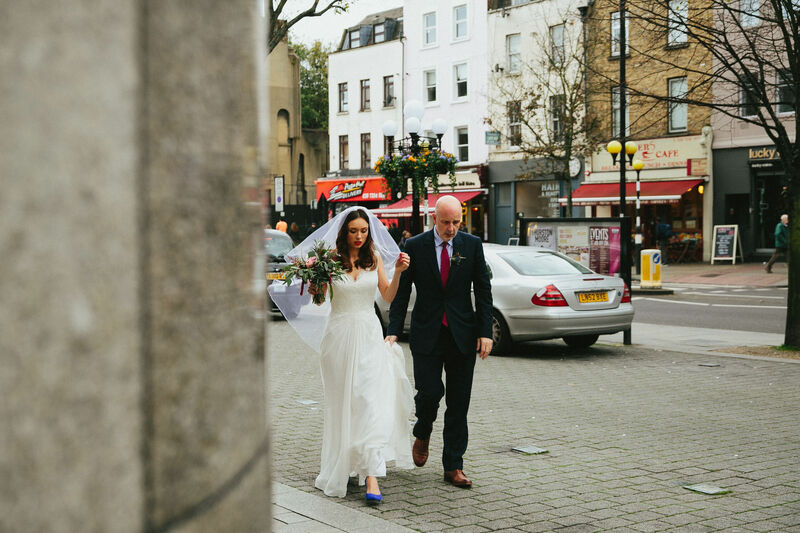 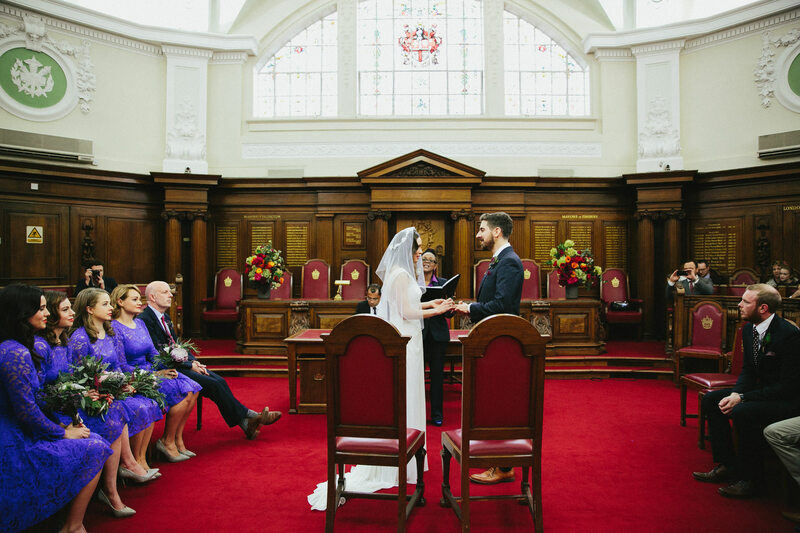 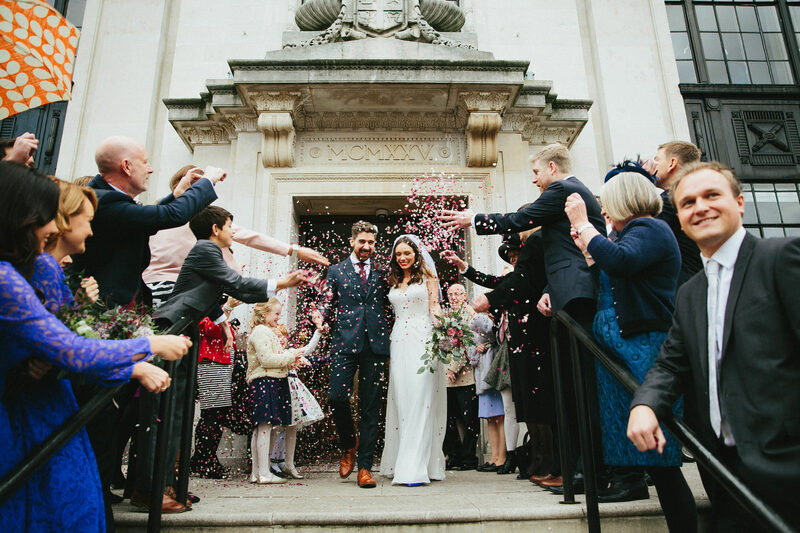 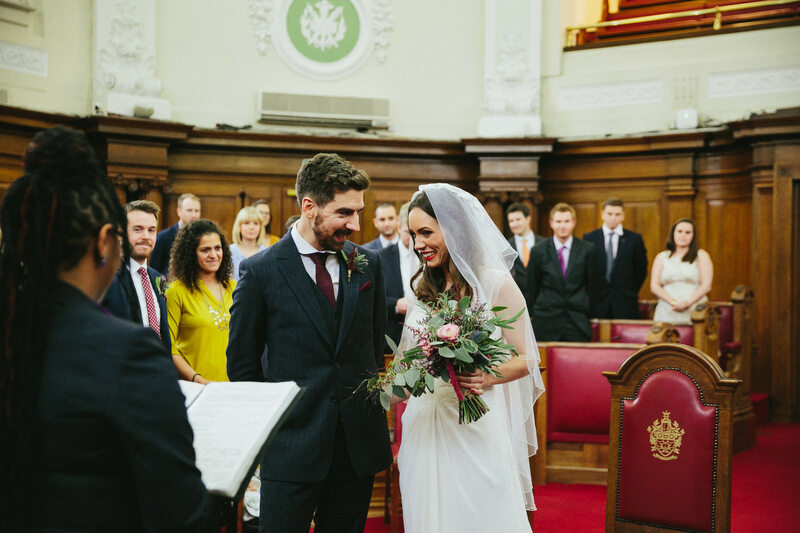 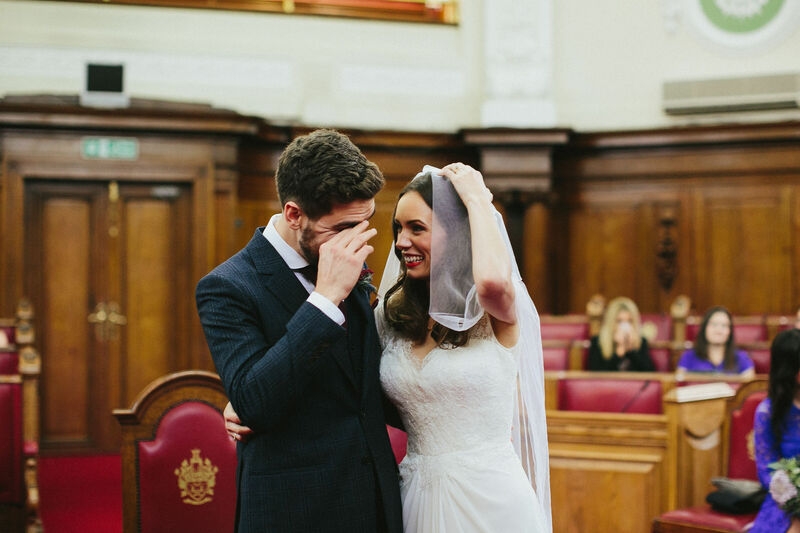 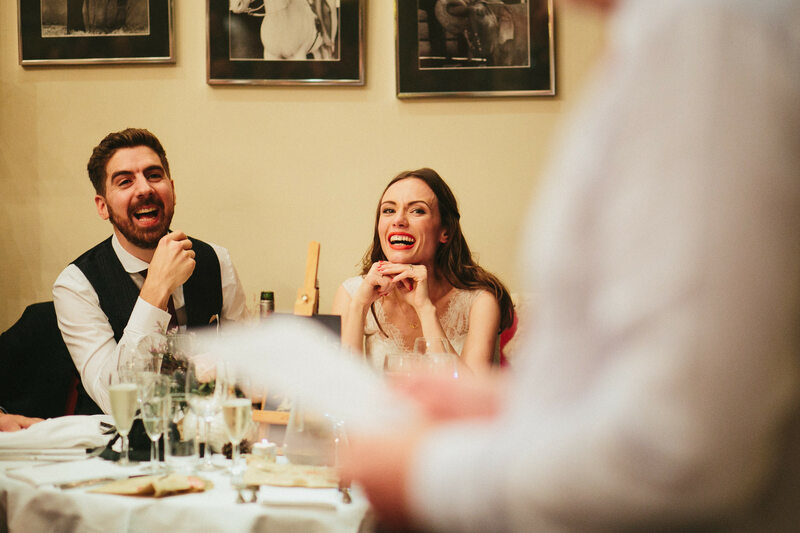 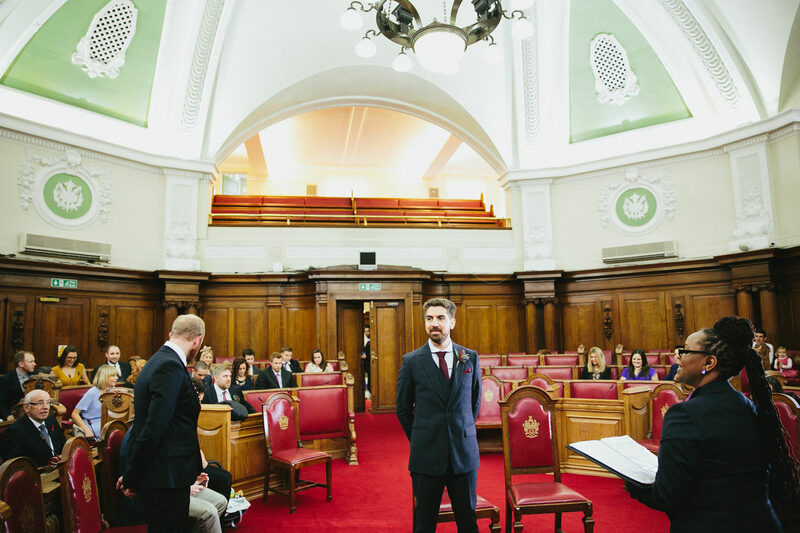 Amy and Barney were married in November with a Peasant Pub wedding reception, a favourite venue of mine, before a ceremony at another favourite, Islington Town Hall. 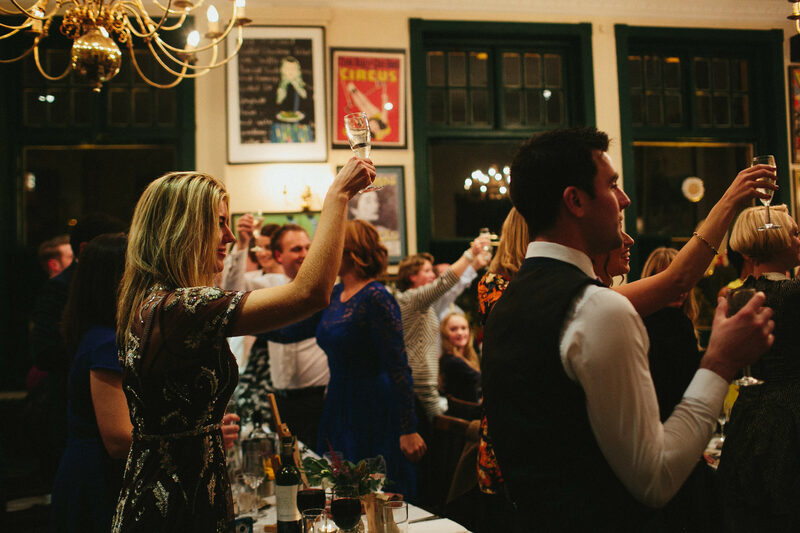 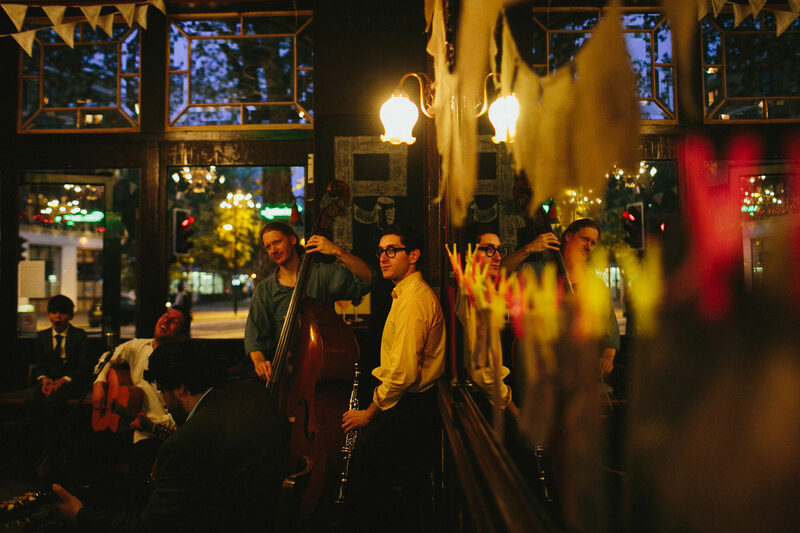 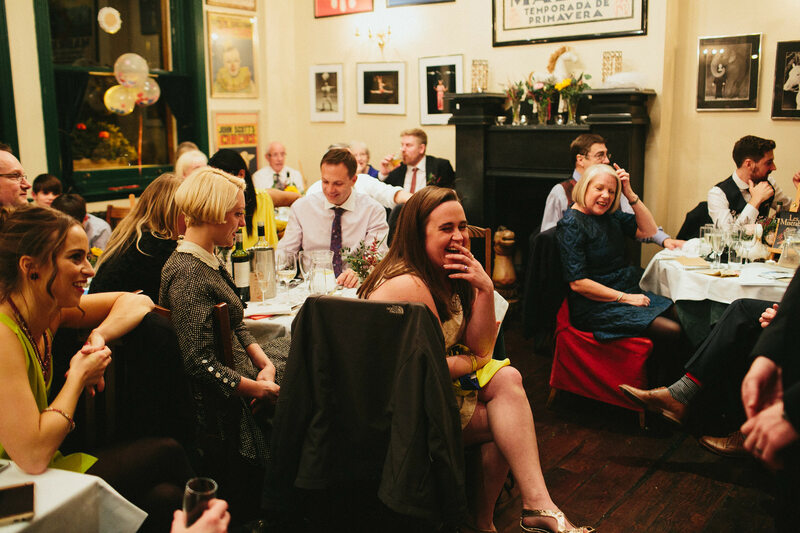 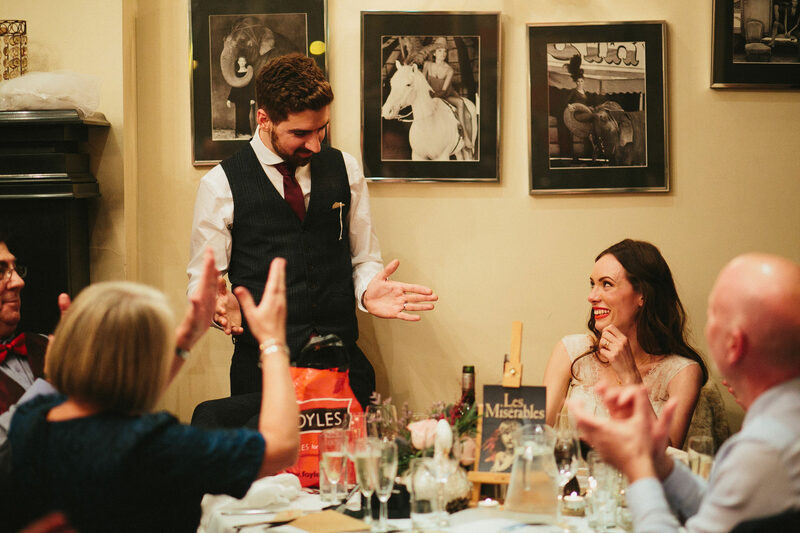 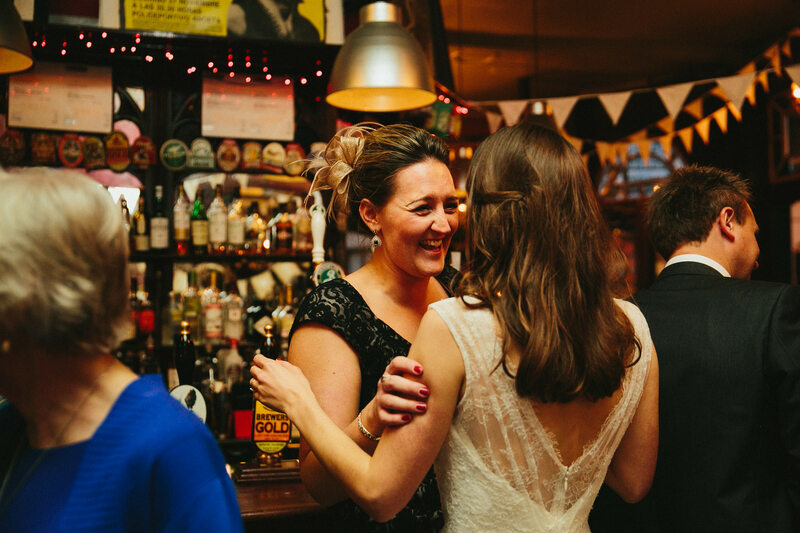 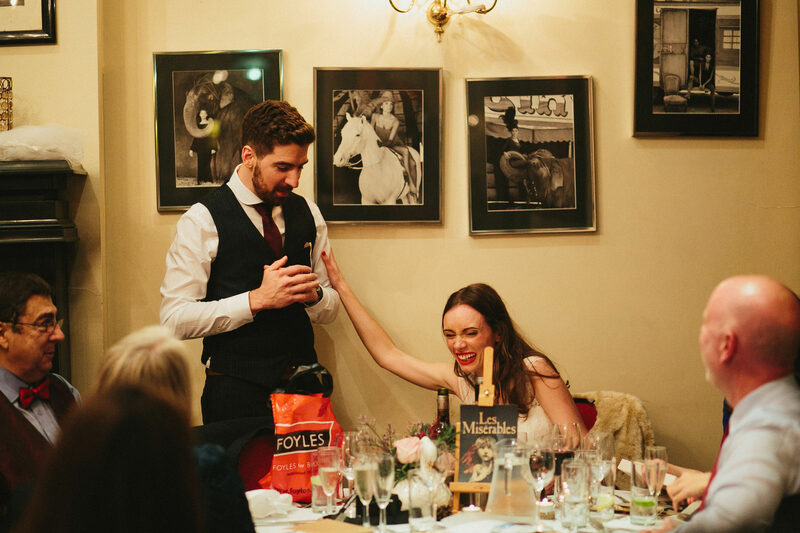 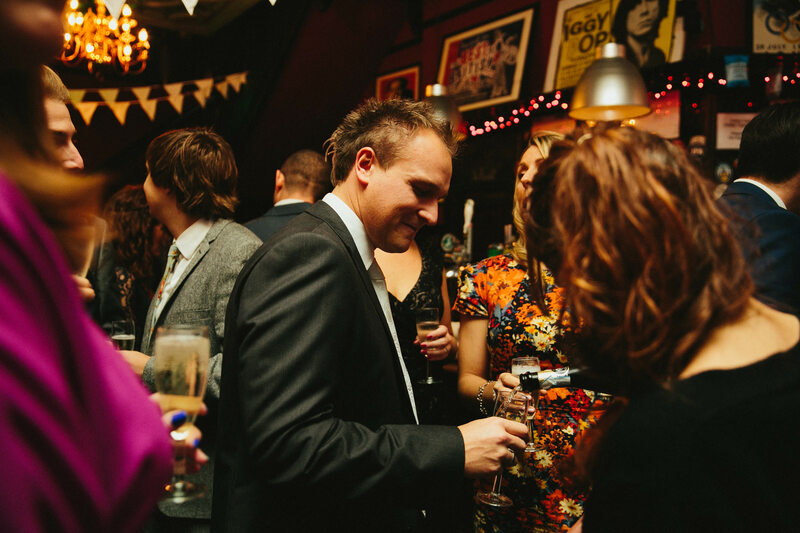 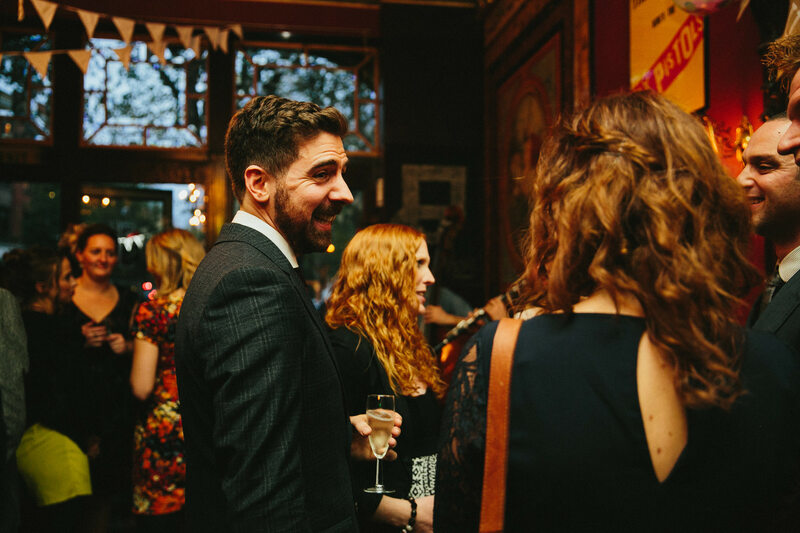 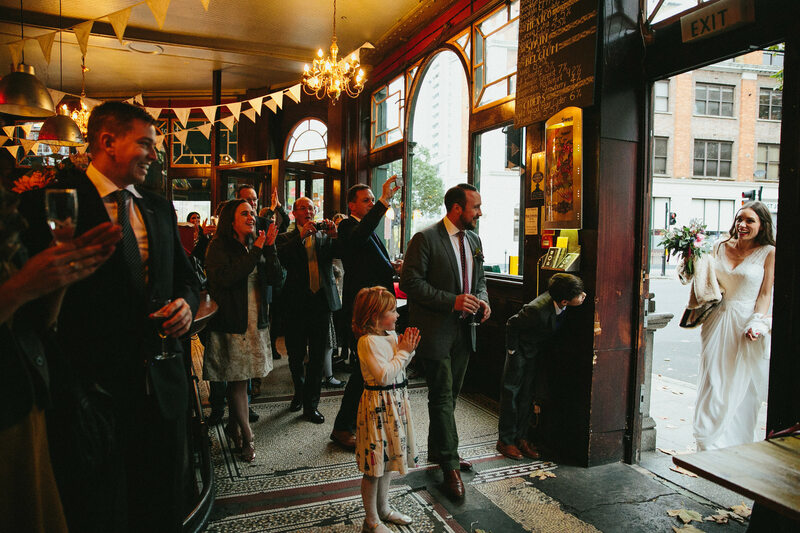 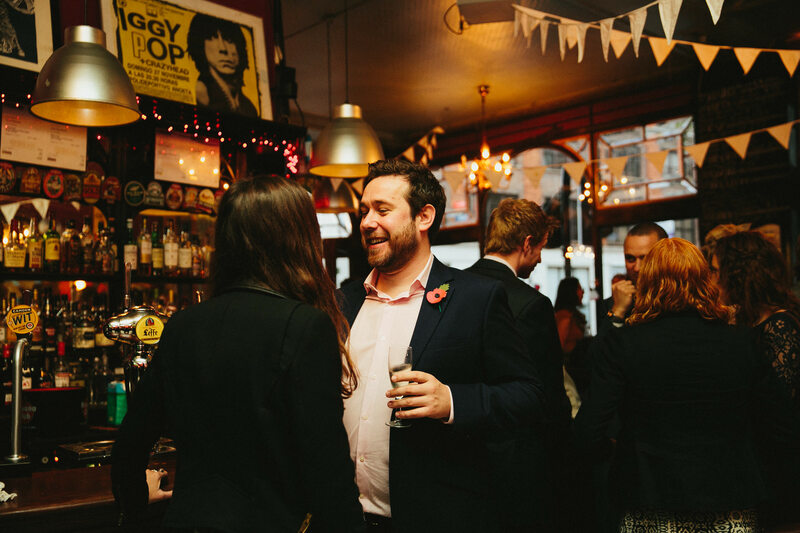 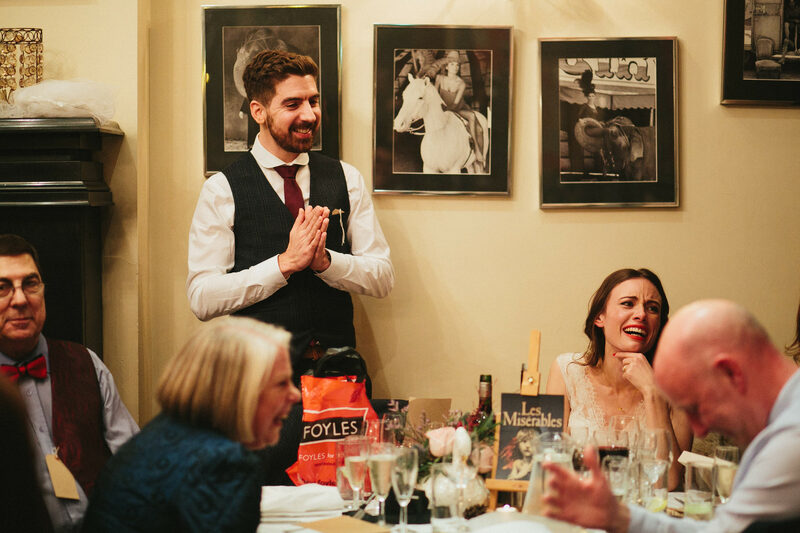 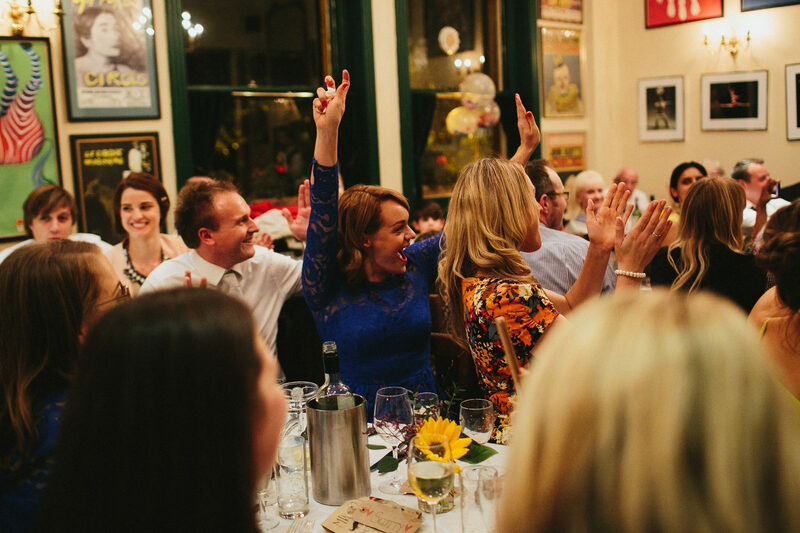 I love a great, relaxed pub wedding! 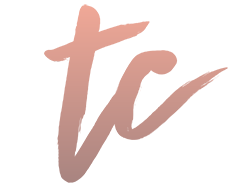 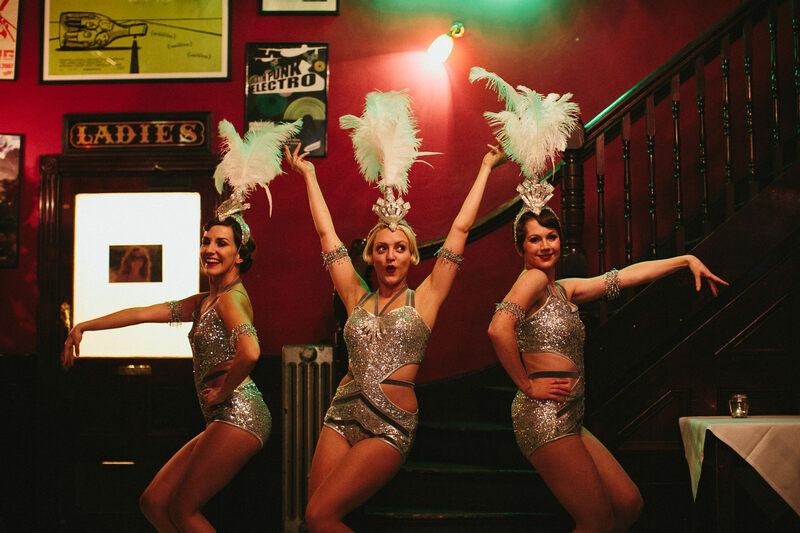 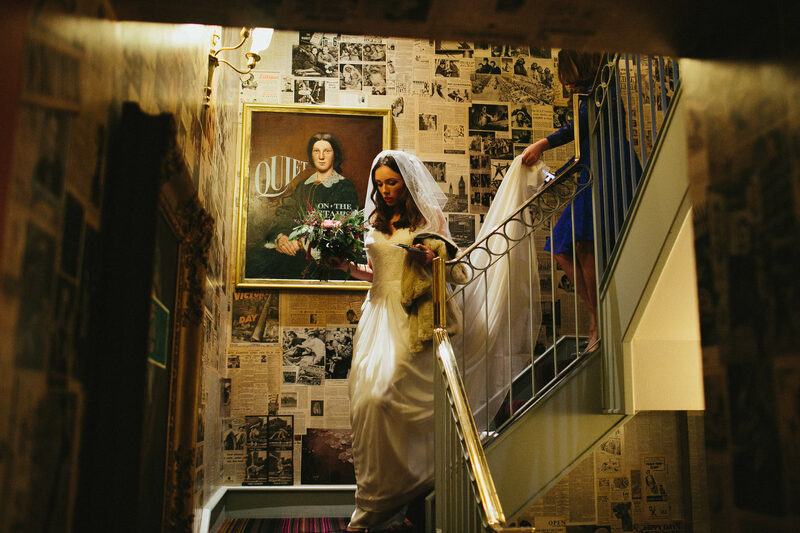 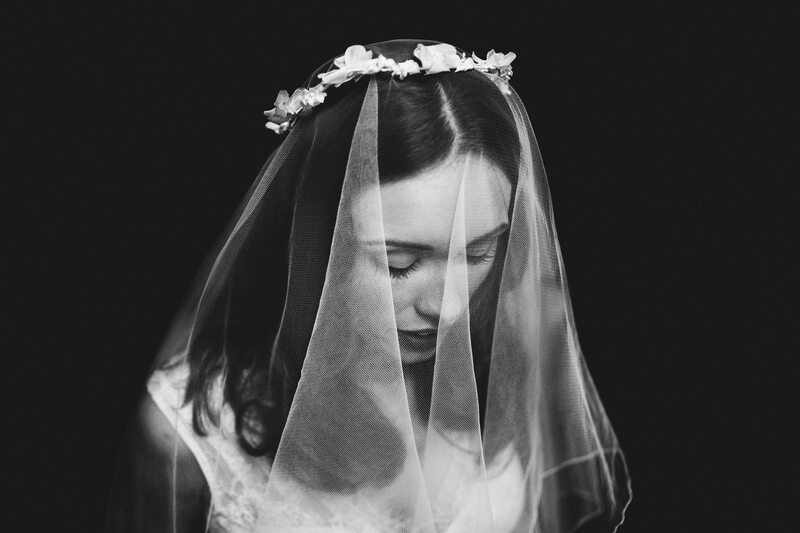 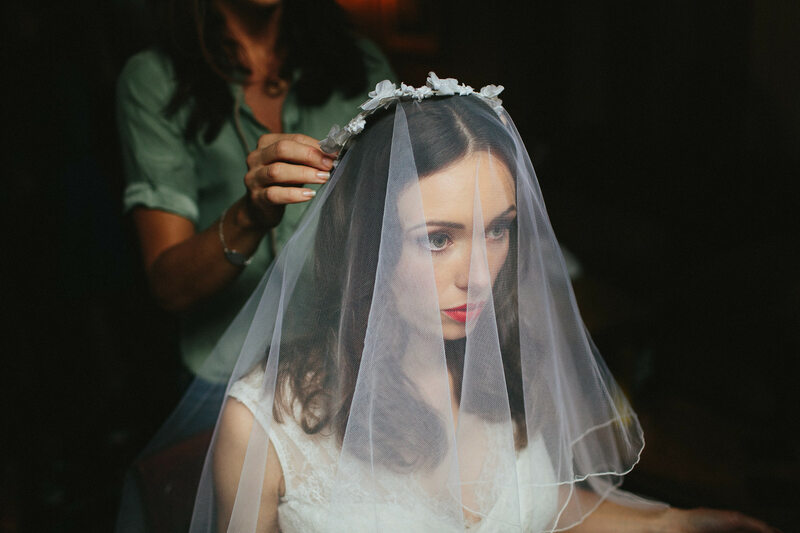 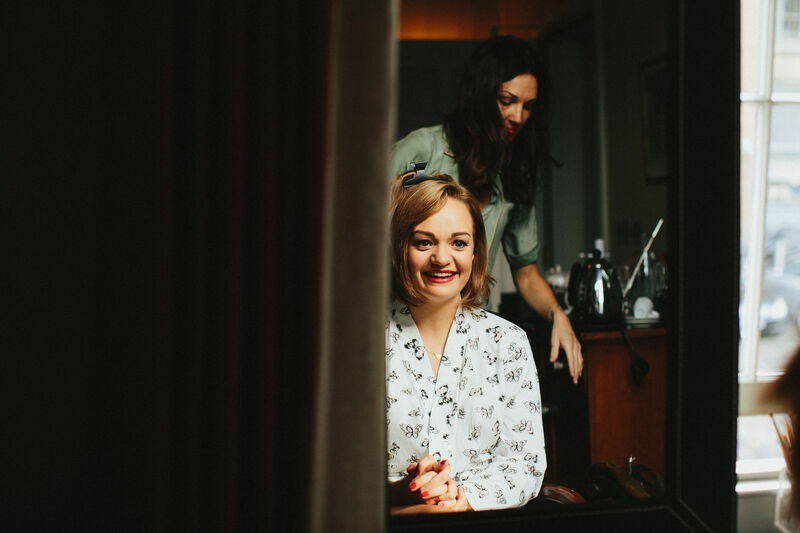 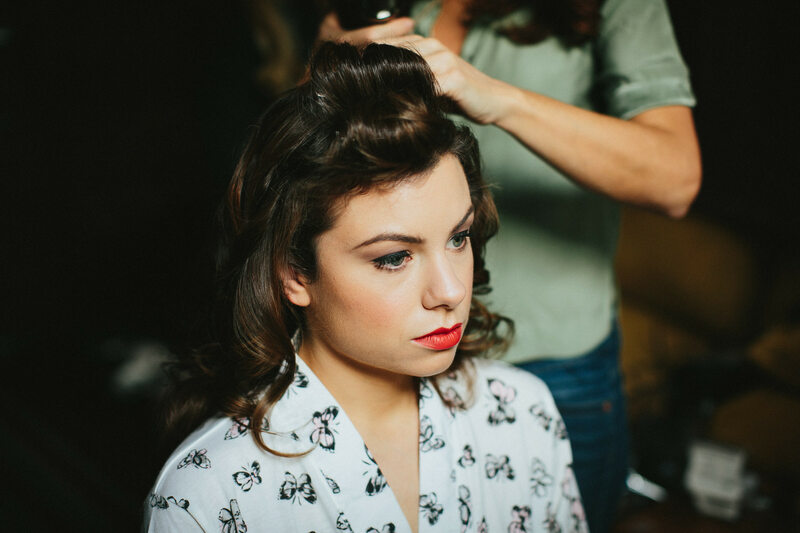 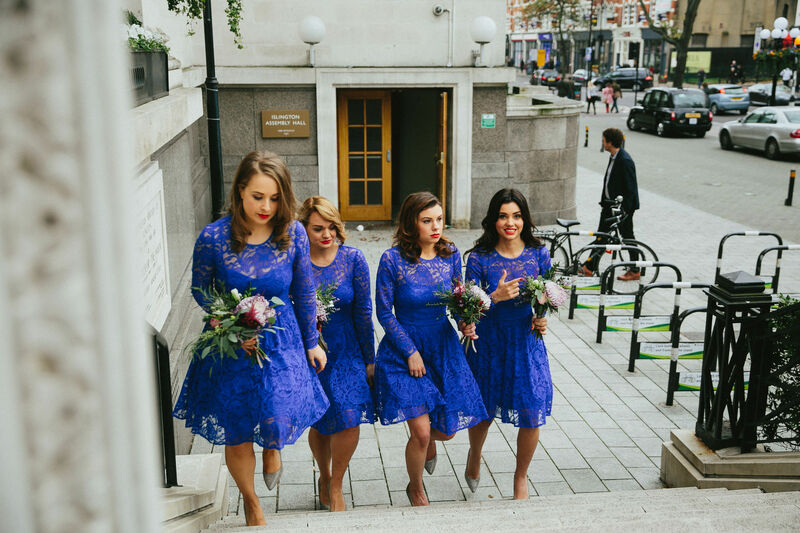 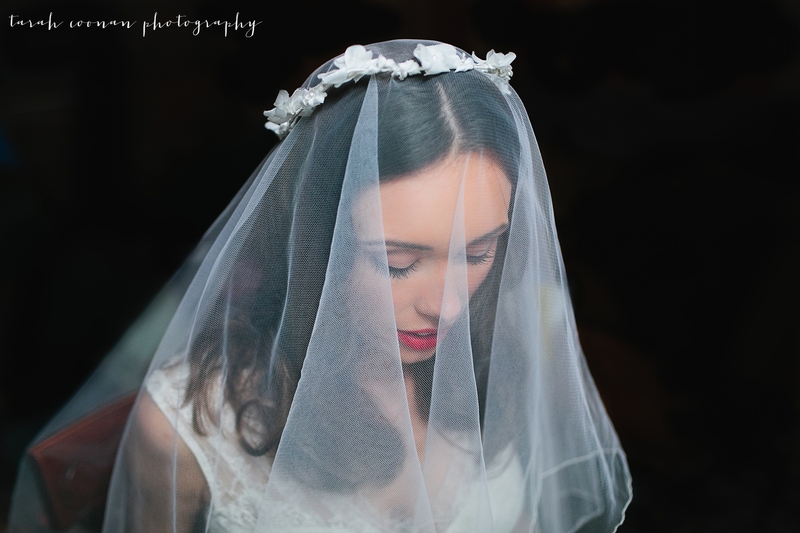 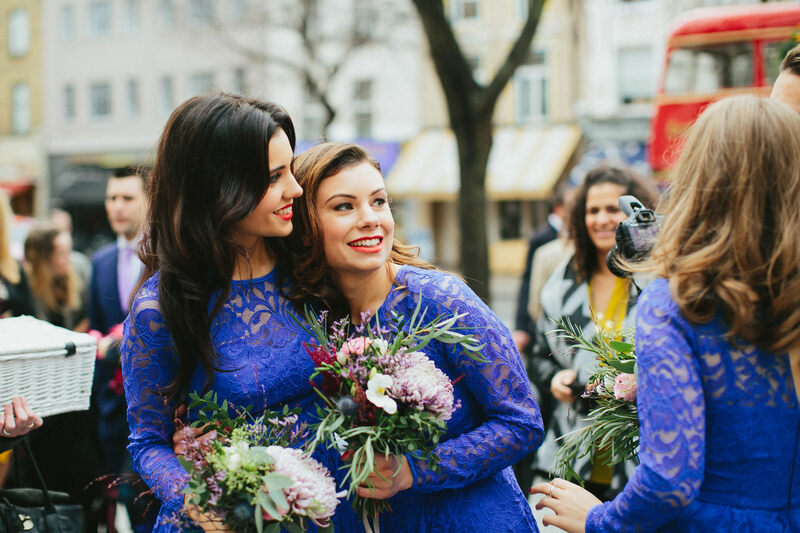 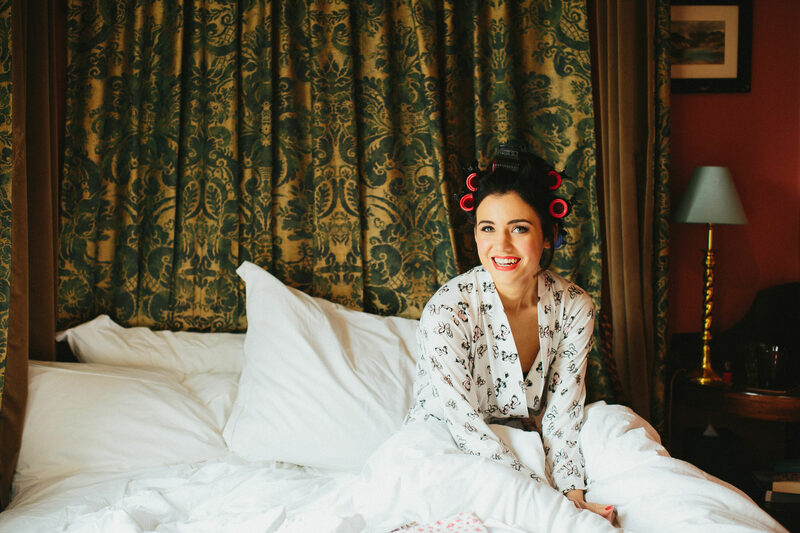 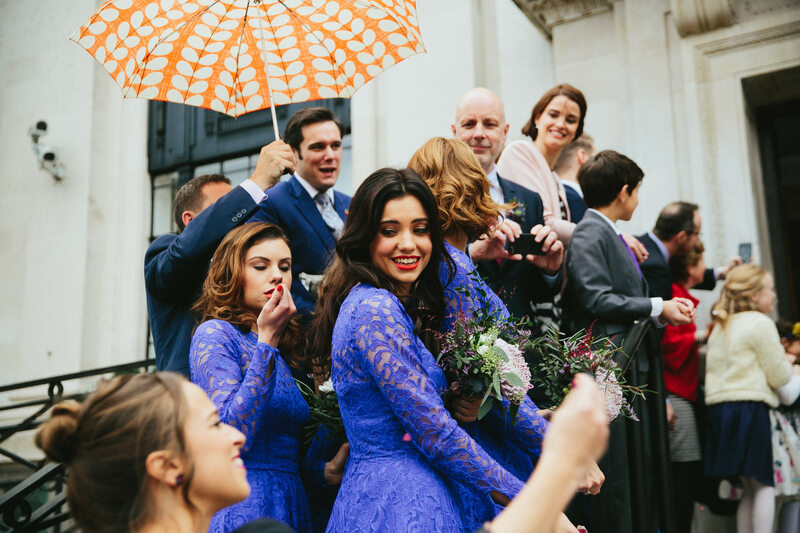 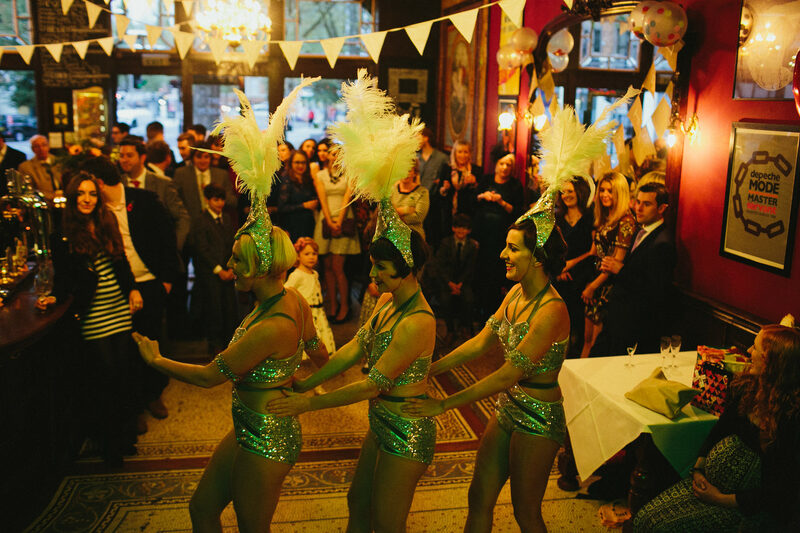 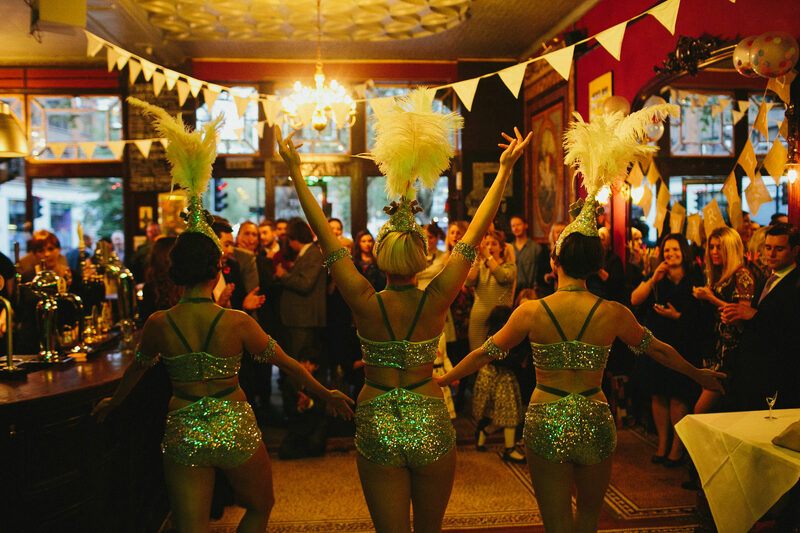 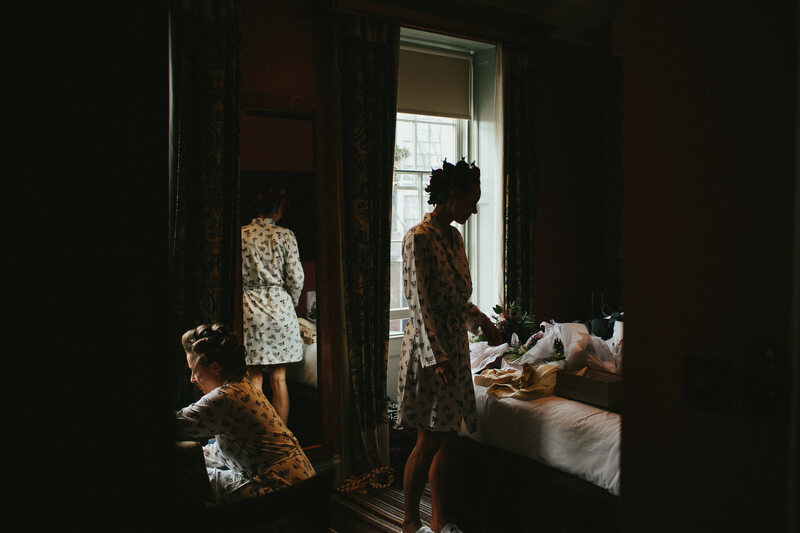 Amy got ready at the gorgeous Zetter Townhouse with her bridesmaids and they all rocked fantastic retro Hollywood hair with red lipstick, with blue dresses for the bridesmaids and a stunning Cymbeline dress for Amy, with her mothers wedding veil. 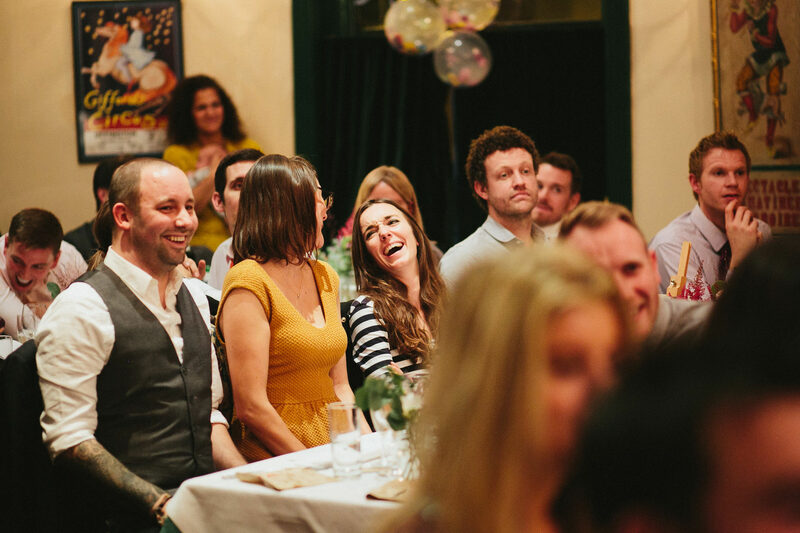 Everyone laughed all day, and then they partied the evening away.